Bought 2 dozen of these in lime green. They are easy to track through the air and easy to spot. They are much softer than Callaway Superhot Bold which I played on the first outing with these. The DX2's are better at stopping on the greens than the Callaways. They are also quite resilient to scuffs although they do pick up dirt which is easily cleaned but this is probably due to the matte finish. Overall a very good ball for the price. 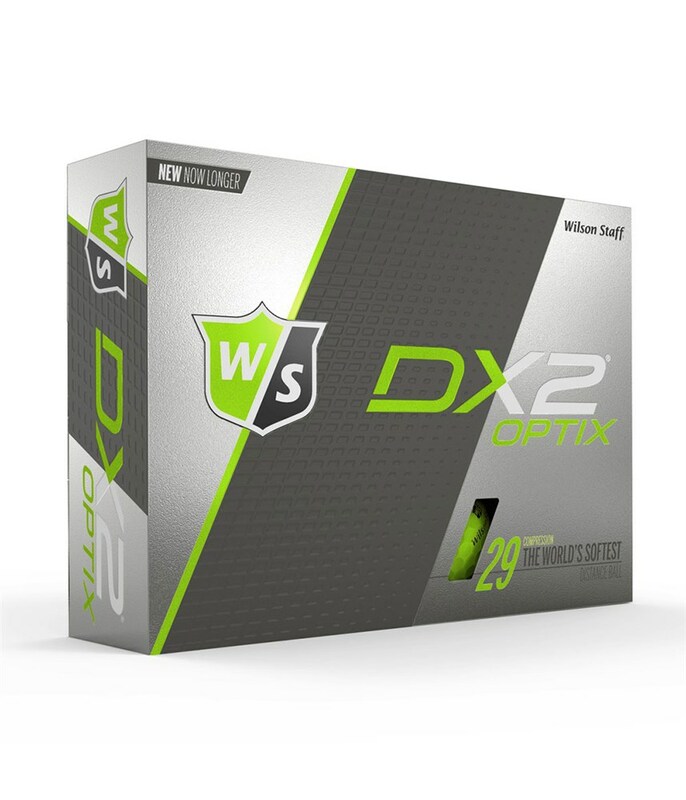 The Wilson Staff DX2 Optix Green golf ball features a super high visibility finish that will make it easy to see and identify as well as the usual DX2 low compression for enhanced amatuer performance. 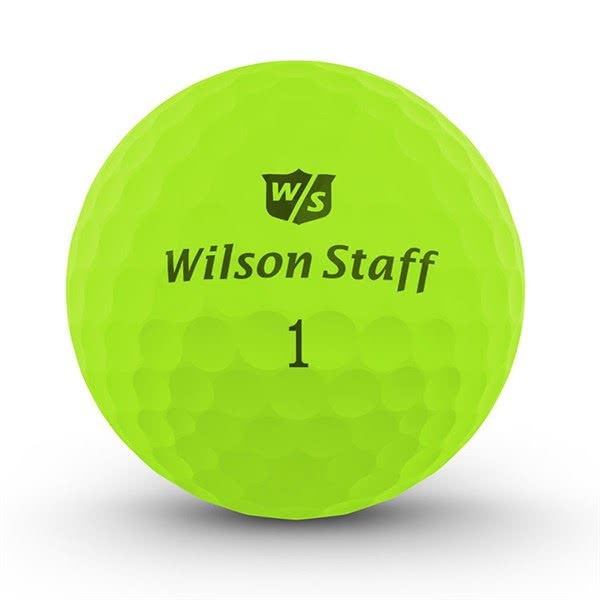 Wilson Staff have designed a super low 29 compression golf ball which makes it 25% softer than the previous model. 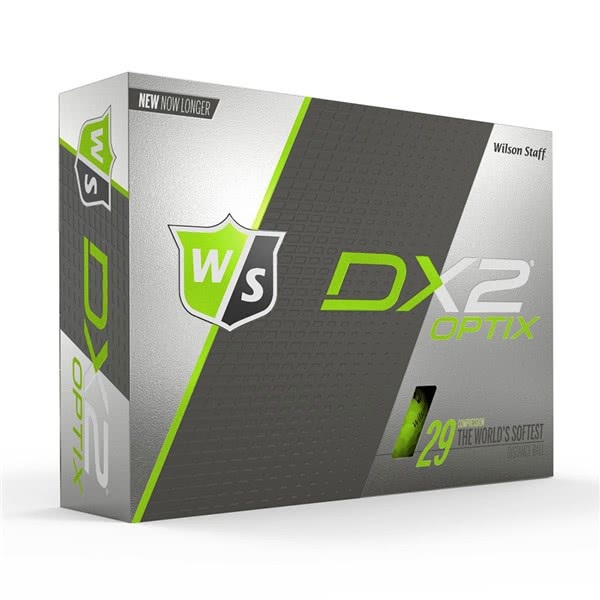 By creating this supersoft DX2 golf ball Wilson have managed to give golfers of all abilities the best of both worlds, distance off the tee and super soft feel and increased spin for more control without sacrificing any distance, in fact Wilson Staff say that the second generation of DX2 is even longer than the first. 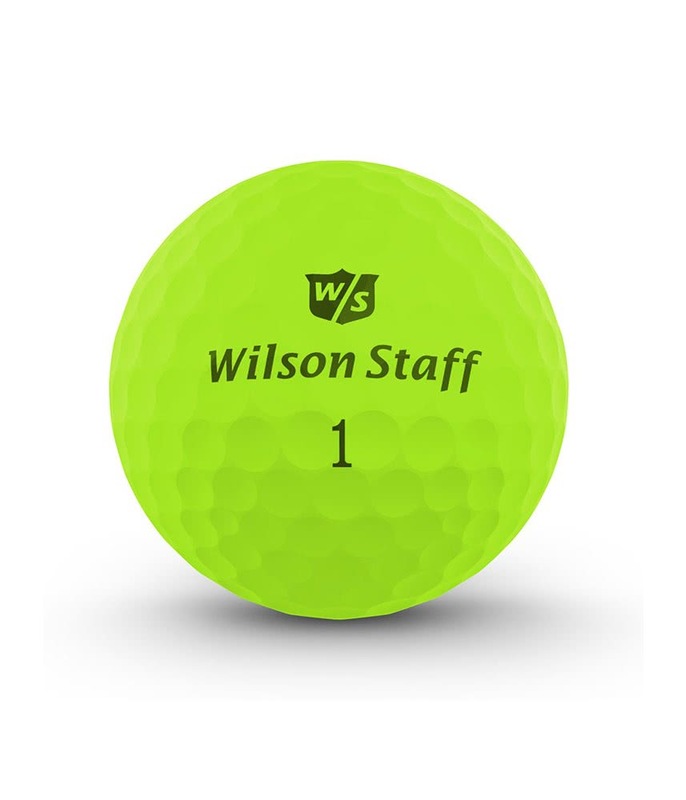 The original low compression golf ball is not only still the softest, longest and straightest, now it's even longer, more durable, higher launching and even faster. CORE: Hard ionomer blend for exceptional distance performance. COVER: Soft feel and low spin for straighter shots. DIMPLE PATTERN: New and improved dimple pattern for maximum aerodynamic flight. CORE: Hard ionomer blend for exceptional distance performance. COVER: Soft feel and low spin for straighter shots. DIMPLE PATTERN: New and improved dimple pattern for maximum aerodynamic flight.